In this episode of the Three Colors podcast, I catch up with travel and landscape photographer Patricia Davidson. Patricia has been traveling the west coast of the US in her RV for the last 12 months. We dicuss the must see locations to photograph along the west coast of the US. The top locations to photograph on the west coast of the US. Discover an awesome thing to do that will help you plan your next photography trip. To find out more about Patrica check out her website here. 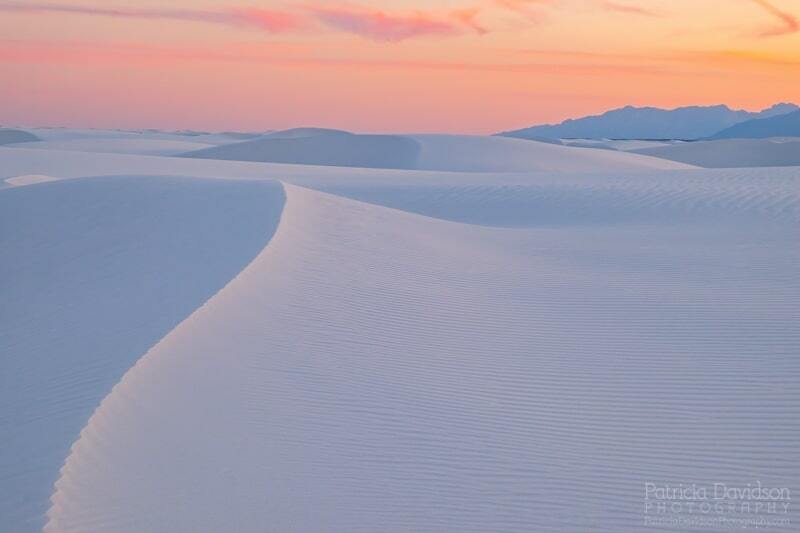 White Sands National Monument at sunet.